Just perfect for party favors or adding that extra dash of ghoulish charm! Creepy plastic skeleton hands reach out from long lasting ball point pens. 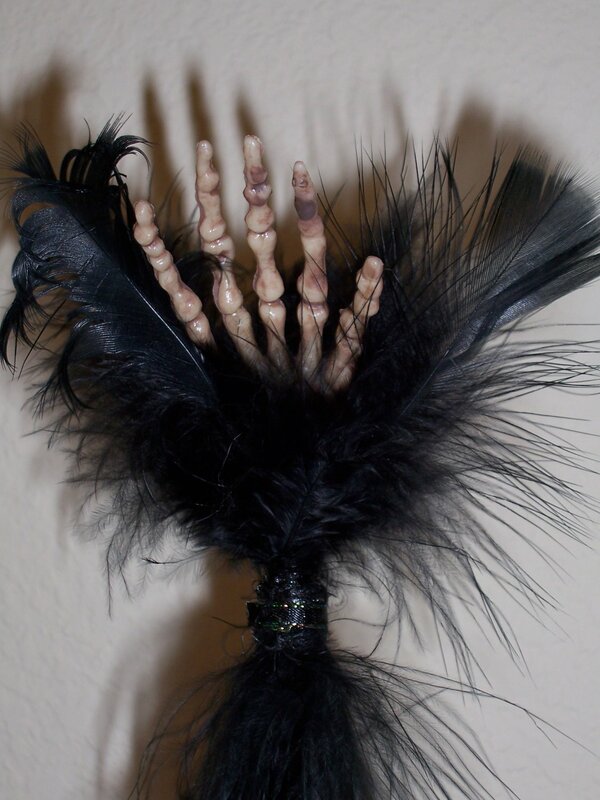 Each bony hand is surrounded by a cuff of black boa feathers that flutter as you write! Perfect for writing gothic stories or jotting down ingredients for your latest potion recipe. The pens are wrapped in halloween themed Duct Tape. Once the ink runs out, the cartridge can be replaced with any Biro or Staples brand pen.